I am a lifelong learner and believe personal development and growth is important. However, it always feels quite forced this time of year. “New Year, New You” always implies there is something wrong with the old you! The reality is, we are always polishing away any rough edges rather than overhauling. It probably sounds odd coming from someone in the fitness industry but I think January is probably the worst time to start a fitness programme. The number of people actually using the gym goes up significantly and therefore the equipment is often busy. I remember in one gym, people were queuing up to use the cardio equipment in January! Gym staff are usually booked up with appointments and it can be hard to get an introductory gym session or new programme. Classes are also fully booked or you have to get up at daft o’clock to get online and book in. Fast forward into February and life has gotten in the way for most people. The gym and most classes quieten down and staff are not in such high demand. It makes going to the gym a pleasant experience when it is not busy. I have also found that client’s New Year resolutions are different to goals set it later months. They are quite unrealistic in January. Often influenced by other people’s grand plans or not appreciating the time required. 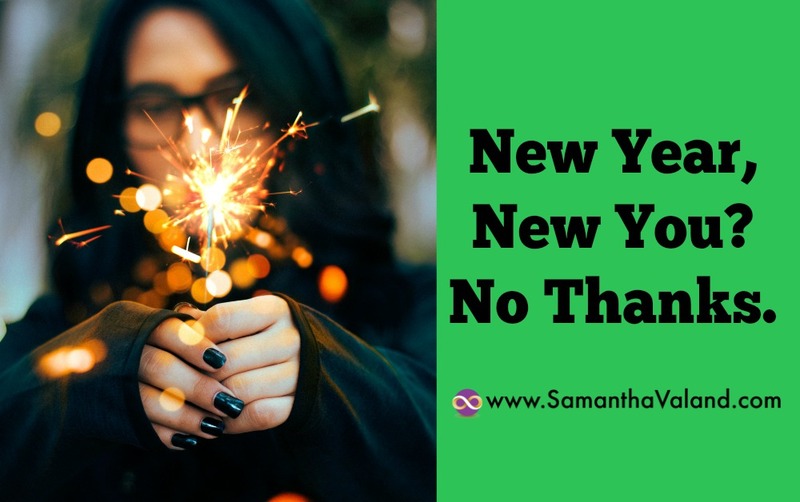 Most of us feel we don’t have enough time, however, our New Year’s Resolutions do not reflect that as they usually add more work into our busy lives rather than taking tasks out. Can you do less of something this year? How would that feel? My New Year resolution is to have a smaller to do list. Last year was my 10-year anniversary in the fitness industry. I have never gotten to the end of my to do list. Whenever a task is completed, something else is added in or a recurring task such as a website update pops back on. A new social media tool is available or I have a new idea or project to work on. I came across a fabulous free app called Asana, which allows me to log all my ideas and tasks. I did a brain dump listing everything I do and want to do. Then allocated projects to each task: marketing, admin, Pilates classes, writing etc. I then set up projects such as ‘this week’ and ‘this month’. Each task can have multiple projects allocated to them. This means, I can allocate the tasks I am planning this week to the project ‘this week’. By only looking at the project ‘this week’ all I ever see are the tasks I need to work on this week. Its a little cheat I know but it helps with focus and I review regularly so nothing is missed. It is working quite well as I am still keeping note of all ideas and tasks but not acting on everything instantly and losing direction. I don’t feel like my to do list is massive as most things are on my ideas list! We become more sensitive to stress in our menopausal years so it becomes important that we manage our stress levels and our to do lists. I have written about this in my book The Menopause Diaries. Feeling that we do not have enough time adds to our stress levels so anything we can do in our everyday lives to reduce them is good for our health! My favourite days have no plans, I’ll have things I fancy doing but no schedule. Why not take a different approach to this New Year’s resolutions and resolve to do less of something.